Mark Zuckerberg, Facebook critics, and outside experts have agreed on one thing over the past year: The social network of 2-billion-plus users is too big for one corporation to govern. Now Facebook is beginning to zero in on a detailed set of rules for a global mechanism to oversee who gets to say what on its platform. The big picture: Last April, Zuckerberg first publicly floated the concept of a "Supreme Court"-like content moderation review board. In November, he committed to the project, and Facebook recently posted a "draft charter" for the body. Why it matters: This could be a constitutional moment for the social network, in which Facebook voluntarily hands over a portion of its considerable power to an independent body. Facebook is planning months of global workshops and inviting comment from third parties and interest groups to refine the draft. The company is "looking to have completed considerable consultation by mid-year with the goal of having the board set up by the end of the year," according to a spokesperson. 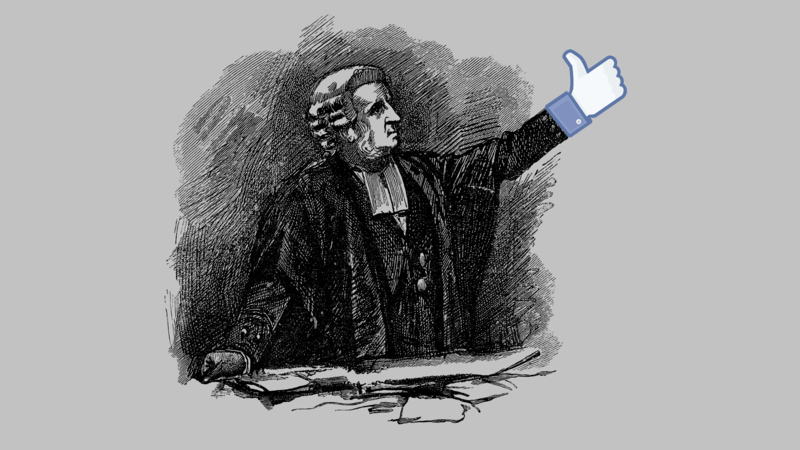 Klonick, a law professor at St. John's University, says that Facebook is trying to create a sort of "separation of powers" in its governance of speech, retaining the executive and legislative functions for itself while handing the judicial role to the new body. How it works: The draft charter sketches a body with up to 40 "global experts," originally selected by Facebook, paid part-time by the company or by an independent body that it funds. Members would serve for 3-6 years, and the board would choose its own successors. look for signs of "coordinated inauthentic behavior," like Russian-backed misinformation campaigns during the 2016 U.S. election. It can be a grueling job, even with a variety of automated flagging tools and the beginnings of AI-driven systems that are getting better at identifying objectionable posts. While the creation of an independent appeals body won't cut the moderation workload, it could increase public satisfaction with the results, as users see a more transparent and accountable process. Facebook will also be able to hand tough choices off to the new board. Yes, but: Government-by-constitution is hard. Building a framework for a new kind of online legal system that's able to resolve conflicts fairly and efficiently is also likely to be slow and painful. The appeals board will offer more recourse than unhappy users have today when their content is removed, but they may not be happy with the final calls. Facebook's legal governance structure remains its corporate charter and its shareholders (among whom Zuckerberg controls a voting majority), and any power it gives the new board it could also take back. What happens if a board ruling conflicts with the needs of a key Facebook business initiative. What happens if a board ruling establishes a principle that makes sense in one region of the world and offends people in another. What happens to the board if Facebook's leadership changes or the company's actual Board of Directors wants to dismantle it. Flashback: Facebook tried a short-lived experiment in letting users vote on platform policy beginning in 2009, but gave it up when too few users participated in what many saw as a burden rather than a privilege. The new appeals board could face similar resistance, if the disinterested outsiders Facebook needs to participate decide that the company, wealthy and powerful as it is, should solve its own problems.